CBD, the shortened term for Cannabidiol, is used as a popular natural treatment method for many different ailments. The rising trend is microdosing with CBD and this can be done using CBD oil capsules. Almost 50% of people who use cannabis as a treatment for common ailments stop using conventional pharmaceutical drugs altogether. So, what are the benefits of using CBD oil capsules? Firstly, let us do a quick recap. This is one of over a hundred cannabinoids found within the cannabis plant. These cannabinoids are chemical compounds and CBD is among the most abundant. CBD has not exhibited any psychoactive qualities, this has made it more readily accepted as an alternative treatment option. Through a variety of different methods, CBD is extracted from the plant. Before purchasing CBD oil capsules ask the company what extraction method is used as some extraction methods could compromise quality. Most large-scale extraction processes use the decarboxylation method. The stereotypes around cannabis are changing. While it is challenging to separate fact from fiction, there are many people across all ages and professions who are enjoying the health and wellness benefits of cannabis products. Studies indicate that CBD can assist the circulatory system and also has the potential to reduce high blood pressure. High blood pressure can cause heart attacks, strokes, and many other life-threatening issues. According to a study published in 2017, CBD was found to reduce high blood pressure as well as keep blood pressure stable in a normally stressful situation. In conclusion, scientific studies indicate that CBD has a positive effect on stress and reduces anxiety and can be an effective natural remedy for those suffering from high blood pressure. In further studies performed on animals, CBD assisted in reducing inflammation and also slowed down the rate of cell death that is connected to heart disease. More human studies and trials do need to be performed however CBD has exhibited powerful potential as a natural treatment for those suffering from ailments and diseases connected to heart and circulatory system health. Both of these common disorders. anxiety and depression are traditionally treated with pharmaceutical drugs. While they have been effective for many, still more are seeking alternative treatment. In some studies, the adverse effects of these drugs were highlighted. These effects included drowsiness, insomnia, sexual problems, headaches, and suicidal thoughts. Some substances also could lead to dependency. CBD oil is used by many people already to help with social anxiety, depression, PTSD, and insomnia. Cannabis has been used as a pain reliever since 2900 BC and people are still using CBD oil and other cannabis products to effectively manage chronic pain as well as inflammation. The body’s endocannabinoid system (ECS) is connected to functions such as appetite, immune system, pain, and sleep. CBD and other cannabinoids interact with the body’s ECS to help stimulate healing and balancing of certain systems. Many studies have been done to investigate and efficiently understand just how cannabinoids stimulate the ECS. One such study shows how cannabinoids assist in alleviating pain by communicating with the body’s endocannabinoid receptors. The results showed a decrease in inflammation and communication with certain neurotransmitters. Easy to dose. 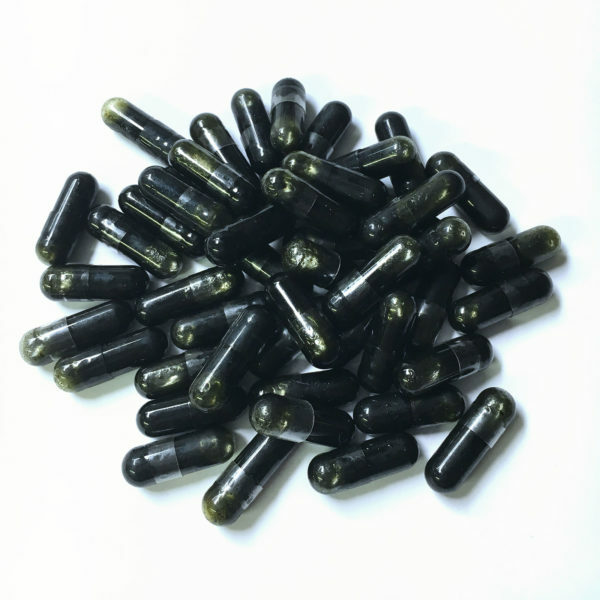 CBD oil capsules are simple to measure and easy to know how much CBD you will be ingesting. Other methods such as vaping, drops (tinctures) and edibles are more difficult to understand just how much to administer, eat or vape. Capsules make traveling easier. They have a high shelf life, they are sturdy (no glass bottle that can break or leak) and they are easy and discreet to transport. It is a discreet option for those that need to medicate for those in a social situation that want to keep their medication private. If you want to craft a daily regime, then take the capsules at the same time every day. An average of 25-40 milligrams of CBD a day is currently accepted as the good amount for CBD as a health and wellness supplement. Always start small, and then work your way up to a dosage that you are comfortable. As more people start using CBD products, there are more companies that are offering products that are subpar in the currently unregulated market. Where were the cannabis plants grown? Cannabis is a bioaccumulator plant, as they absorb the components that are present in the soil. This means that if there are any toxins in the soil then the plant can absorb them. You can find out if your cannabis was grown in clean soil by the label or by simply asking the company. Ask for the lab results. Look for products that have been tested by a third party, and ask the company for a copy of those results. Not only do you want to make sure that the CBD oil capsules are free of chemicals, but you also want to know that your CBD product contains the amounts of cannabinoids that it claims. Check the extraction method used. You want to make sure that your CBD oil capsule was not made using CBD extracted by a process that could compromise the quality of the CBD compound. The CO2 is accepted as the safest and purest way to extract CBD. Whether you are looking at using CBD for the first time or simply looking for a different way to safely use CBD, CBD oil capsules are an easy and safe way to enjoy the benefits of the cannabis plant. Author Bio: Camilla Morgan is a blogger by profession with 5 years of experience. She is associated with CBD Safe and selling pure Cannabidiol & Best CBD oil products in the USA. She is an admirer of sharing his innovative ideas with others on the Wellness for Mind and Body.